A bungalow with the air conditioner, nearby 7-11 close to the main market, 4 kilometres to the beach. and 2.5 kilometres from Manoh pier and to Tha Khao pier 5 kilometres. Local food, Souvenir shop, Bank, pharmacy etc. -Boat Ticket to Aonang, PP, Koh Lanta. I never got a chance to stay in that apartment. Even I paid for that, the owner had not gave me nether address no the useful information how to get in there! I was booking my stay for another place at the airport after the landing! I am not recomend that apartment to stay! Loose of money and your good mood ! 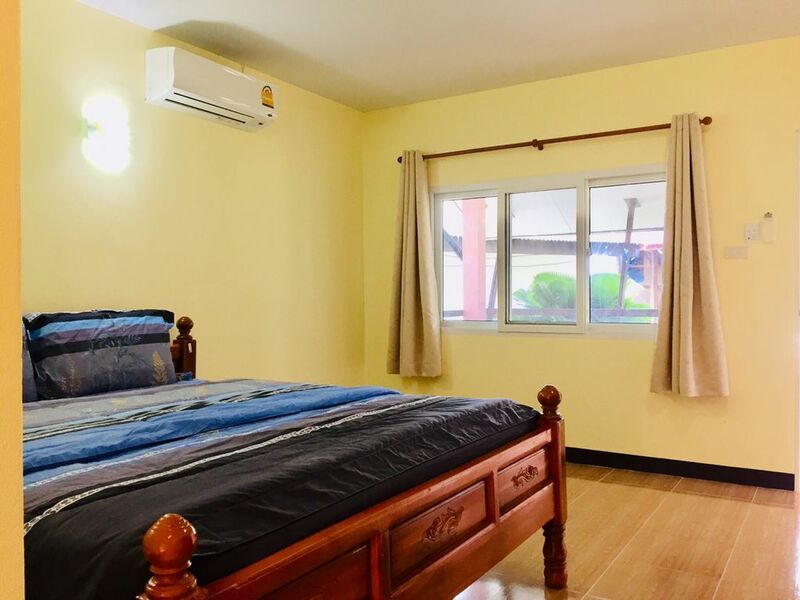 I m so sorry if the information it not helpful for you but all the details is in the website that my property in Koh Yao Noi ... first of all you’re informed that you will arrive in the evening .. I was answer to you inbox with my telephone no and in other wayI also try to contacted you through your telephone but there’s no answer from you. The second you were send me the message at 1.00 am of next day that you arrived and need the room and you said you need a room. Instead of this case i also must apologize to you even we are not the able to service you next time if you have chance to visit on the island please let me know I will make a special welcoming for you.